I was truly saddened to hear the news, earlier in the week, that Kate Spade had passed. She was the visionary and founder of Kate Spade New York – one of my favourite brands. They are known first and foremost for their handbags; cute, often brightly coloured and always super stylish. They also sell clothing, shoes and lots of beautiful accessories. I am, a particular fan of their quirky stationery and cute jewellery – my silver bow earrings, (which were a thirtieth birthday present) are my absolute favourites. There is one design that is perhaps more notable than any others, and it has stood the test of time since the creation of the brand back in 1993. I am of course talking about the "Sam" bag. It was one of the six initial handbags designs they sold upon launching. It was as stylish as it was practical, boxy in design and made from waterproof nylon – the perfect nineties accessory! 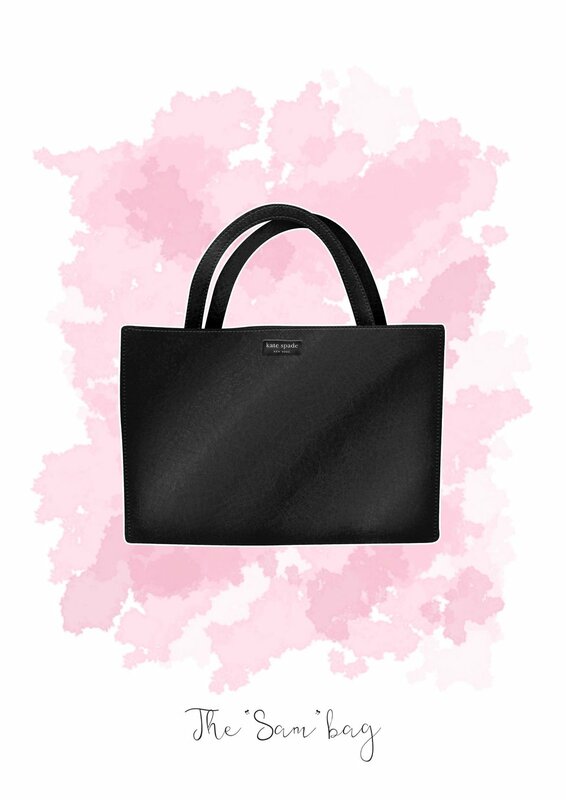 It was reissued and updated earlier this year, to celebrate Kate Spade New York's twenty fifth birthday. These redesigned Sam bags are proving as popular as the original and I am sure that they will go down in history just as their older sister did all those years ago. The original 1993 "Sam" bag. The "Hayes Street Sam" bag in "morning dawn" colour. 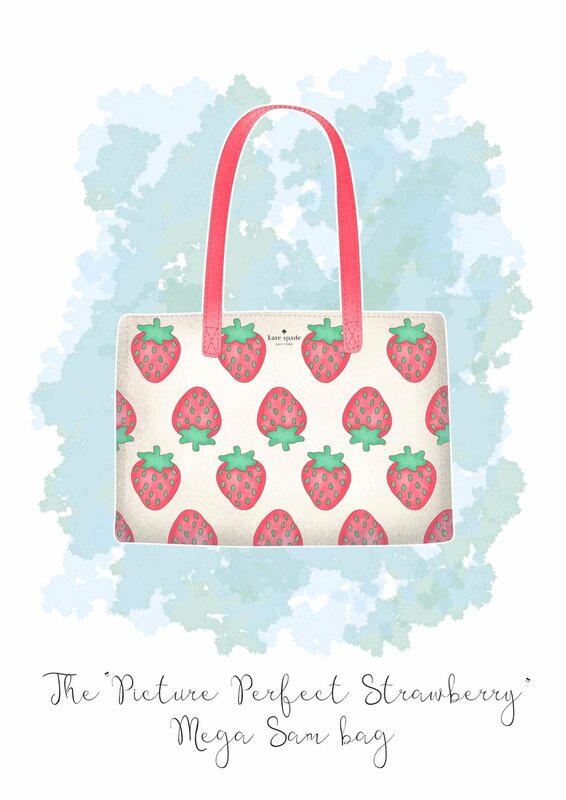 The "Picture Perfect, Strawberry, Canvas Mega Sam" bag in multi print. Kate Spade was the ultimate #GirlBoss, and her legacy will live on through her iconic designs. Live your life to the full. Live colourfully.